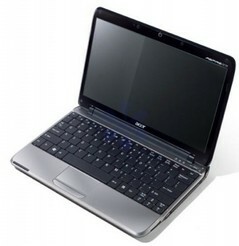 11.6-inch Acer Aspire One netbook on the way? Do you crave more screen estate on your 10-inch netbook – perhaps just another inch? How about another 1.6-inches? Would you believe it, Acer is rumoured to be breaking the netbook mould by prepping an 11.6-inch Acer Aspire One Pro 731 netbook. And if you’re a prosumer or a business user, the Acer netbook’s desired target market, the Pro 731 sounds like it could have your name all over it. The generously sized netbook will have a 16:9 display with a screen resolution of 1366 x 768 pixels and runs on an Intel Atom Z530 processor and the Poulsbo chipset, paired with GMA500 graphics. It’s this chipset that could give its high capacity battery up to 8 hours of life. Its keyboard should provide a pleasurable typing experience by offering flat keys akin to those found on the Macbook and Sony Vaio TT. As well as the above, the Acer machine features onboard video and HD audio support and Aspire One’s trademark Ethernet and VGA port placements pushed right back into the hinge section. This is all providing the rumours are true of course – however it seems poised for an official release soon. There’s no word on its debut, but according to Slash Gear “the FCC were taking a look at a device much like it – complete with 3G WWAN support, no less – earlier this month”, so are keeping their fingers crossed “for an imminent announcement”. They seem confident, so it’s likely it could be putting in an appearance soon.